Most children's books are fun little bits of fiction conjured up to make children laugh. It's not often you'll find non-fiction children's books that also manage to delight young readers with their true tale. 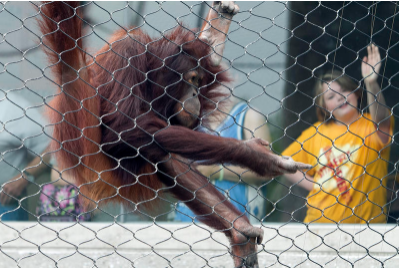 But that's what environmental journalist and author Laurel Neme has done with her new book, "Orangutan Houdini," which relates the story of the wily and inventive Fu Manchu, an orangutan that lived at the Henry Doorly Zoo in Omaha, Nebraska.